GOODYEAR, Ariz. — Fans lined up along a fence, reaching over the top pole with baseballs, photos and pens clutched in their outstretched hands. A veteran wearing Indians gear approached the group, some stubble on his famous face, and stopped to sign his name a few times before heading to Field 1 at Cleveland’s complex. The new addition to camp was Grady Sizemore, who has been hired as an advisor to the Tribe’s player development department. For Cleveland fans, Sizemore is as known for what might have been as he is for his incredible feats on the field as one of the game’s bright young stars so many years ago. The former outfielder is currently weighing what will come next for him, and that journey begins in Goodyear, Ariz., this spring. Also, congratulations are in order as Grady and his wife, Brittany, welcomed their first child, a son named Luca Grey, on July 23rd in Arizona. Here’s to the happy family! 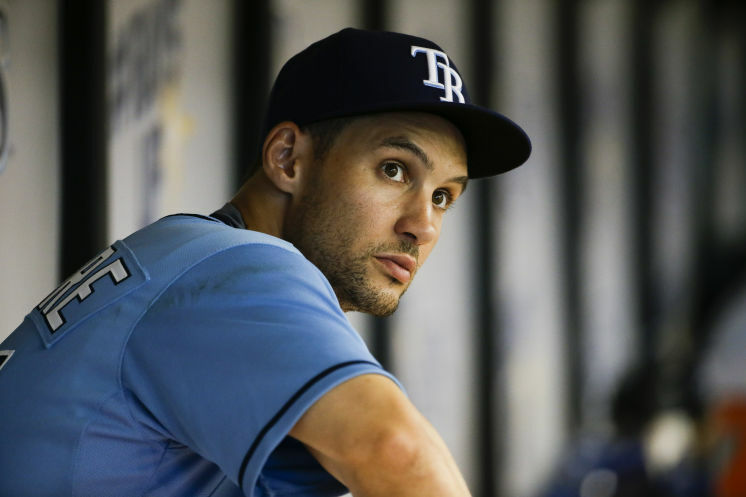 On June 15th, Grady Sizemore was signed to a minor league deal by the Tampa Bay Rays. After working out for a few days at their training complex in Port Charlotte, FL, Grady began a string of games with the High-A Charlotte Stone Crabs on Sunday, June 21st. Just one short week later, the MLB club selected his contract and he made his debut with the Rays batting 2nd in the DH position vs. the Boston Red Sox on Sunday 6/28. Going 3-for-5 with an RBI and a double, Grady seems to have made a good first impression with his new club and their fans. In a move that is not altogether surprising, today the Phillies have called up LF Cody Asche, and in the corresponding roster move, have designated Grady for assignment. The Phillies OF situation is quite crowded at the moment, and Grady wasn’t exactly lighting up the place. Although, in May he improved greatly from a paltry April. 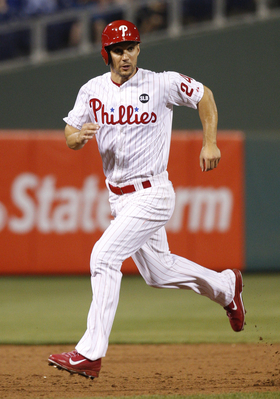 If he clears waivers in the next 24 hours, the Phillies then have 10 days to trade or outright release him. OR assign him to AAA Lehigh Valley, which is a move he can reject as a result of his accrued MLB time. Since struggling mightily in the month of April (.147/.194/.176 — albeit in limited playing time), Grady seems to have heated up along with the weather. With a line of .368/.415/.421 in May so far, his numbers have quite improved, landing at .264/.312/.306 as of May 18th. While the power doesn’t seem to be there (yet), it’s good news to see him swinging a hot bat this month. Is it the weather, the increased playing time, or just that he was in a slump the entire month of April? Will the power ever return? Those answers remain to be seen, but we’re enjoying this little hot streak while it lasts. The Phils begin a long 10-game road trip, during which they’ll face the Nationals and Mets, following the 3-game set with the Rockies in Denver that begins tonight.